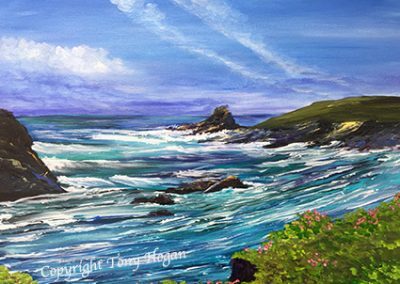 Join professional artist Tony Hogan. A renowned Tutor & leading suppliers demonstrator for T.V. and art events. He is also a regular writer for numerous art magazines. With his paintings in collections around the world. 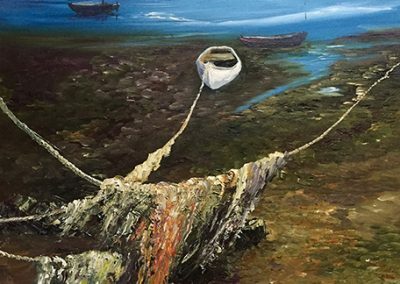 As a local artist Tony has can show you the best coastal, harbours and inland views available to paint. Working with a maximum of six people per course provides personal guidance, at your own pace, in the media of your choice. Non residential with all meals supplied and transport to painting venues when not in the studio. Free transfer to and from nearby Newquay airport or Bodmin Parkway rail station if required. 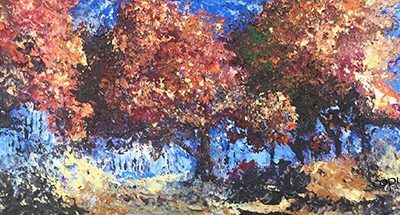 Three leading Acrylic artists join together to offer you the ultimate Acrylic painting experience. Staying at the Marsham Court Hotel on Bournemouth sea front. 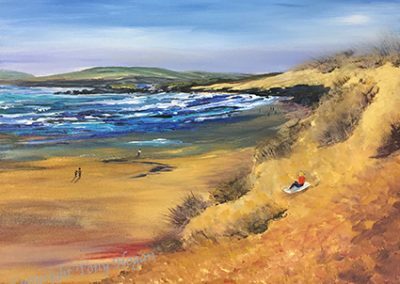 Capture the Magic of Cornwalls north coast..
We have a wide range of original artwork and prints available, see a selection below or visit our full gallery for more. 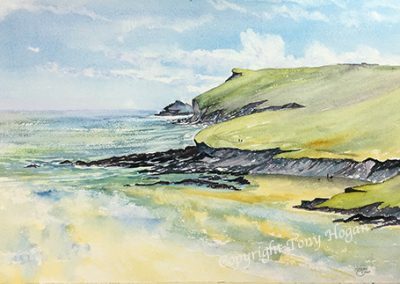 Tony and Eileen Hogan are experienced professional artists who for over 20 years have organised and run Art Holiday Courses attracting those wishing to develop their artistic ability whilst enjoying stunning painting venues. From as far afield as Japan, Canada and Australia alongside hundreds of U.K. residents join us each year to enjoy time learning tips and techniques for inclusion in their own works. 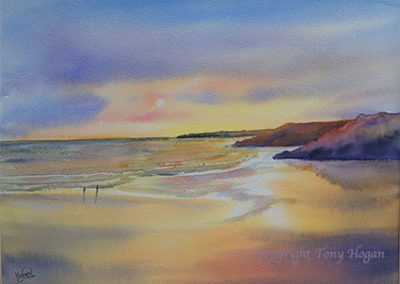 Tony was formally trained at Bradford Art College in the early 1960’s and has spent his life devoted to developing his knowledge and techniques in both the commercial and fine art sectors. 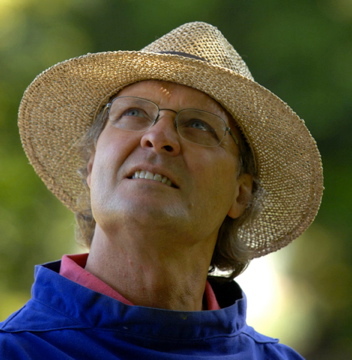 He has worked for many international companies, done several television art shows and demonstrates at national art fairs as well as local art groups. 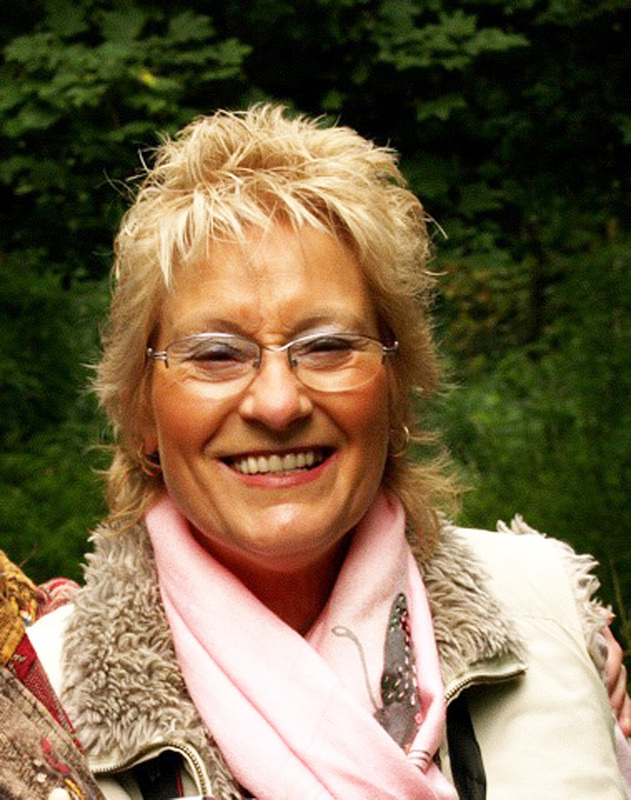 Eileen is also an artist of note and together they offer a positive, creative and welcoming environment for all those wishing to enjoy the delights of painting and drawing. 4 & 5 day courses are tutored by Tony, who with years of experience is internationally recognised for his easy to follow and relaxed way of teaching all abilities. During your time with them you go to stunning seascape and moorland locations in Cornwall and Scarborough. Painting plein-air whenever possible and moving into the studio for demonstrations, or during inclement weather. All abilities are welcome, working in the media of your choice to enjoy a unique painting holiday experience.